The stand-up mental comedy show is good clean fun for audiences of any size. Perfect for conventions, banquets, colleges, cruises and special events. Several audience members are brought up on stage adding to the excitement. The act blends suggestion, perception, deception and misdirection with lots of comedy for a truly entertaining show. 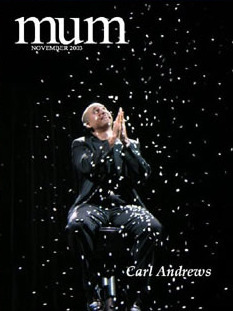 Carl is the author of several books and instructional videos on sleight-of-hand and has lectured around the world. 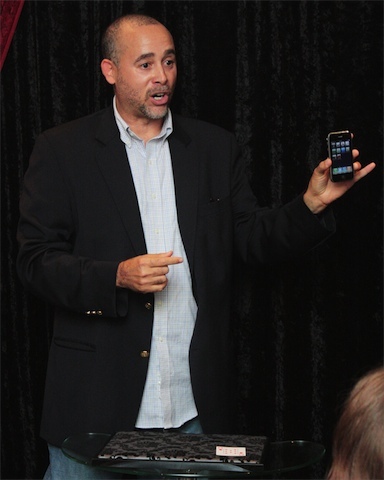 He has also created dozens of Apps for the iPhone/iPad/iPod Touch. 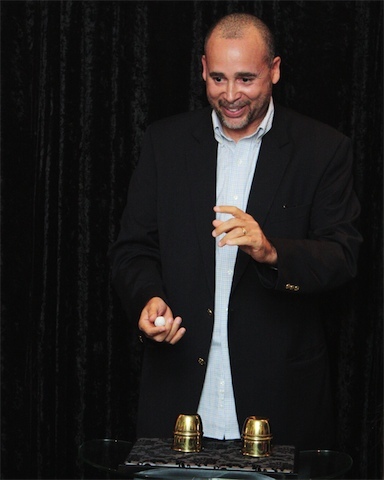 Strolling sleight-of-hand is ideal entertainment and a perfect icebreaker for cocktail parties, receptions and hospitality suites. 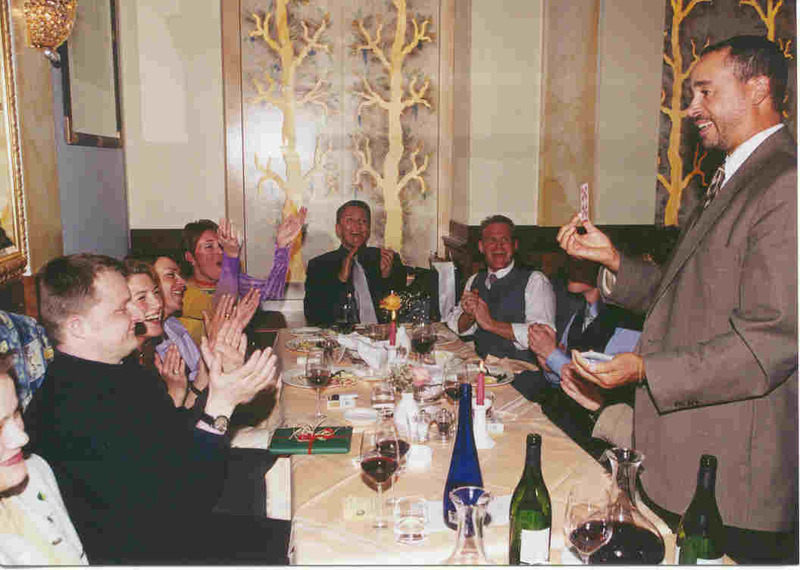 The magic is performed in the hands while Carl mingles with the guests performing with small everyday and often borrowed items. 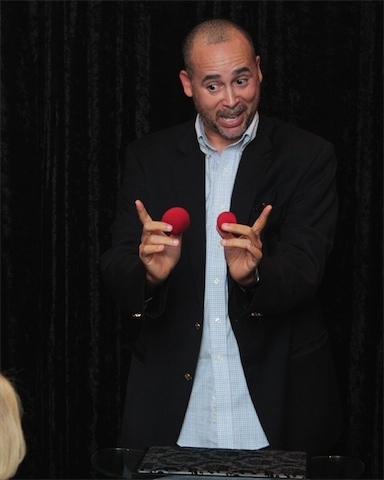 This type of performance makes a lasting impression with the sleight-of-hand performed right before their eyes. 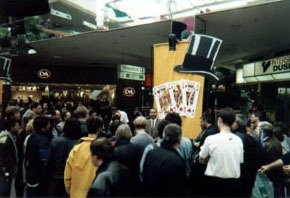 The Close-up show is performed on a table with a small audience in front. Unlike strolling where Carl performs a few effects while strolling among the guests, this is a real show. This show is best for small groups. With hundreds of exhibitors at a trade show, how is your company going to stand out from the competition? Trade show clients have found Carl's humor and talent invaluable for attracting crowds to their booth and delivering the company message in a memorable way to assure the maximum impact of their exhibit. Trade show magic has quickly become a popular and unique way for an exhibitor to become the most remembered company on the trade show floor. The Wall Street Journal in 2000 said that magic has become the most effective way to insure companies nation-wide that they maximize the use of their trade show budget. 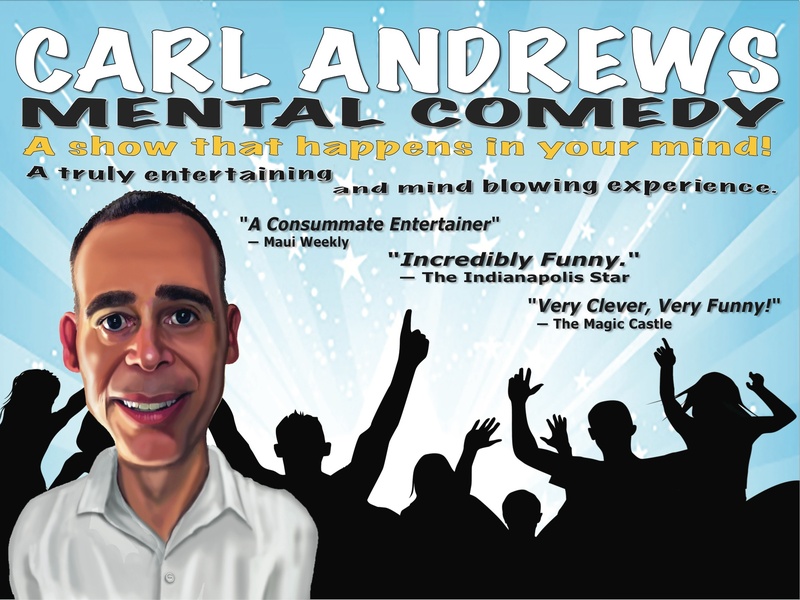 Carl's Comedy Outreach "Deception Prevention" Program is designed to entertain people, make them relax and have a wonderful time laughing in God's house. Proverbs 17:22 says "a merry heart does good, like medicine". An evening of clean comedy entertainment is a good opportunity for Christians to get their non-Christian friends to church and let God minister to their hearts through the performance and message. Click HERE for more info.